What isn't written, isn't remembered. Even your crimes. Nadia lives in the city of Canaan, where life is safe and structured, hemmed in by white stone walls and no memory of what came before. But every twelve years the city descends into the bloody chaos of the Forgetting, a day of no remorse, when each person's memories -- of parents, children, love, life, and self -- are lost. Unless they have been written.In Canaan, your book is your truth and your identity, and Nadia knows exactly who hasn't written the truth. 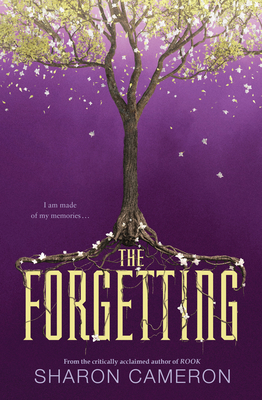 Because Nadia is the only person in Canaan who has never forgotten.But when Nadia begins to use her memories to solve the mysteries of Canaan, she discovers truths about herself and Gray, the handsome glassblower, that will change her world forever. As the anarchy of the Forgetting approaches, Nadia and Gray must stop an unseen enemy that threatens both their city and their own existence -- before the people can forget the truth. And before Gray can forget her.